In a widely anticipated move, the New York Jets officially hired Dowell Loggains to be their next offensive coordinator and quarterbacks coach. The move comes as no surprise, given Loggains’ experience working alongside new head coach, Adam Gase. At first glance, this decision appears questionable, due to Dowell’s lack of success with other teams. 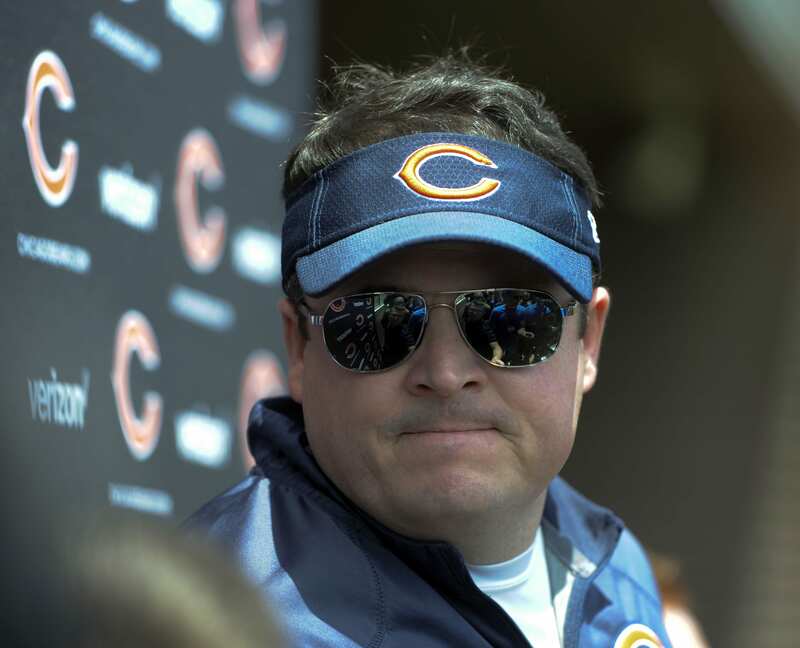 Regardless, Loggains has a chance to redeem himself with Gase running the show. The team’s redemption will depend on how they guide the true leader of the offense: quarterback Sam Darnold. Dowell Loggains comes to the Jets with a shoddy track record. None of the offenses he led, the Titans in 2012 and 2013 and the Bears in 2016 and 2017, were ranked higher than 19th in points scored. The 2017 Bears were voted dead last among all 32 teams in play calling during Loggains’ reign as OC. They averaged only 16.5 points a game, placing 29th in the league. Most recently, the Dolphins’ offense under Loggains failed to impress, ranking 26th in total points and 31st in total yards. However, turbulence among personnel can play a pivotal role for an offense and its coordinator. This was the case for Loggains. In 2017, the Bears opted to throw rookie quarterback Mitchell Trubisky into the fire after giving up on Mike Glennon five weeks into the season. Meanwhile, the 2018 Dolphins offense never had any continuity due to injuries to quarterback Ryan Tannehill and wide receiver Albert Wilson. Plus, Dowell has achieved some success in the league, particularly as a quarterbacks coach. Manning that position with the Bears in 2015, he guided Jay Cutler to one of his best seasons. Cutler had 3,629 passing yards, 21 touchdowns, and only 11 interceptions, a career-low. Coincidently, the Bears OC at the time just happened to be none other than Adam Gase. As the new head coach of the New York Jets, Adam Gase would not have brought Dowell Loggains with him if he didn’t have faith in him. He trusts that Loggains can be a competent #2 and help guide his offense. Gase will call the plays, but Loggains will be counted on to help oversee the development of the offense. These two certainly know each other well. They became a pretty good pair in 2015 with the Bears. Gase guided a rushing offense that ranked 11th in the league that year. Meanwhile, under the tutelage of Loggains, Jay Cutler helped the Bears garner a third-down efficiency of 42.5%, the 6th highest total in the league. It’s worth noting that Cutler played that entire season. Therefore, Gase probably thought Loggains could work his magic on Tannehill and the Dolphins in 2018. Injuries prevented that from being a reality, but Gase clearly hasn’t lost confidence in Loggains. This opportunity with the Jets gives them both a chance for a fresh start. They’ll also have the services of a promising fresh face, Sam Darnold, making this a golden opportunity. Potential success in New York for Adam Gase and Dowell Loggains will hinge on how they develop franchise quarterback Sam Darnold. He will be the youngest quarterback they’ve ever worked with. They’ll be counted on to help him grow and lead the Jets to new heights in the years to come. Darnold definitely showed signs he can be the star quarterback that the Jets, Gase, and Loggains need. Coming back from a foot injury, Sam showed tremendous improvement towards the end of the season. He demonstrated better command in the pocket and better results, which included throwing 341 yards and 3 touchdowns in an overtime loss to the Packers. With the hire of Dowell Loggains, the Jets gave Adam Gase his guy on the offensive side of the ball. Now, they just need to do their jobs and steer this offense in the right direction. If they can help Darnold and the rest of the offense soar, no one will question the decision to trust this duo.